PlayStation Vue, launched in early 2015, seeks to provide an alternate TV viewing experience to typical cable plans in the form of on-demand, live-TV – all for one monthly fee, with no hidden costs or contracts. Starting at $44.99/month for PlayStation Vue‘s basic “Access” package (Which offers about 45 live channels), it is more expensive than its competition – however, Sony seeks to make up for that with a cleaner, faster and more user-friendly interface. Before checking out the service for yourself, here’s some basic information to get you started. PlayStation Vue is Sony’s attempt to break into the contract-free TV streaming market, a market that has been extremely popular with cord-cutters of all stripes. Vue subscribers can watch everything from the news (CNN, FOX, etc.) to entertainment (Syfy, HGTV, HBO), to sports (ESPN, NBA TV, etc.) – and more. Naturally, all viewing is done via the internet, rather than cable – just like Sling TV or DirectTV Now. Viewers access shows via a clean, easy-to-use interface where they can watch, favorite and add shows to their own personal libraries. Despite its name, PlayStation Vue does not require a PlayStation to access. It can be accessed across multiple devices with a valid PS Vue subscription – everything from your phone to your tablet, to a Roku device, can be used to access the service. 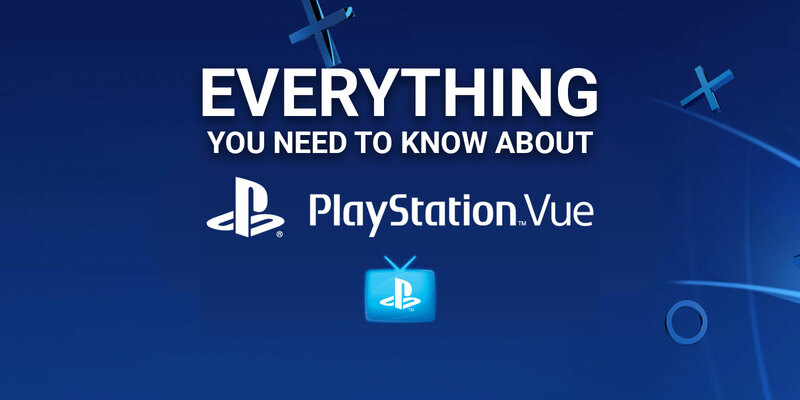 Learn more about all of PlayStation Vue’s supported devices here. Where can you access PlayStation Vue? Though PlayStation Vue was only available in select cities upon its initial launch, it is now available nationwide in the United States. Sony has not announced any plans to expand their service to other countries as of right now. As stated above, PlayStation Vue does cost a bit more overall than Sling TV – however, it also offers more channels, including local TV for certain areas (Though availability varies – learn more about local TV channels and their availability here in PS Vue’s FAQ). Your entry package tier. Includes many popular channels, see the PlayStation Vue channel list below. Core Slim includes everything in Access Slim, and a series of additional sports channels listed below and a couple non-sports channels, as well, such as Sundance TV and TCM. You get access to all of the channels included in the previous tiers, as well as several movie channels (And, once again, a few non-movie channels as well). Sony’s final tier of service offers all the channels from previous tiers, plus you get access to 2 “Premium” channels. With Vue’s regular list of channels out of the way, let’s discuss extras. Right now, PlayStation Vue offers their “Español Pack” for an additional $4.99/month ($3.99 with a PlayStation Plus subscription), and several standalone channels that can be viewed on their own (Without a full Vue subscription), or attached to an existing Vue membership. beIN Sports was originally part of this package but has been dropped as of June 2017. Getting started with PS Vue is as easy as signing up and setting it up with your appropriate device. Sony has official documentation on setting your device up for PlayStation Vue, but check the list below to make sure your device is actually supported. It’s also recommended by Sony that you have at least a 10Mbps internet connection for the best audio and video quality while watching TV. If you want to set up PlayStation Vue for the traditional TV viewing experience, here’s a list of TV-connected devices it currently supports. On the go? No problem. You can access the PlayStation Vue app from the Apple App Store, the Amazon App Store, or the Google Play store from just about any Android/iOS/Amazon Fire device. 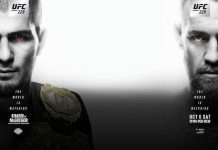 Alternatively, you can access PlayStation Vue from the comfort of your computer – simply log in to psvue.com/watch, after signing up for an account. How does PlayStation Vue differ from cable? If you’re new to cord cutting, you might be asking yourself what the difference is between services like PlayStation Vue and traditional cable providers. What are the benefits, if any? Does Vue offer a better value overall? Generally speaking, PlayStation Vue is probably going to be cheaper than most cable providers’ TV services, especially if you’ve been paying for things like a cable or satellite box. PlayStation Vue does not require any extra equipment except a device capable of accessing it, as it’s accessed entirely through the internet. Naturally, this means that watching TV via Vue is significantly more convenient and on-demand. 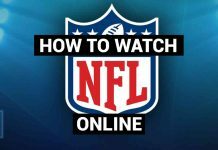 If you feel like catching up on sports while you’re out and about, go for it – just download the app on your phone or tablet and binge watch your favorite shows as much as you’d like. What if you want to cancel your PlayStation Vue Account? You cancel. Really! Just like you’d cancel an Amazon Prime or Netflix subscription, you simply go into your account settings and shut ‘er down. No hard feelings, no broken contracts, nothing. Aside from the ultra-important aspects of Vue, such as actually signing up, there’s a number of smaller featured and intricacies you should know about before diving in. PlayStation Vue offers 720p resolution, 60FPS HD video playback on most devices (The only exceptions being the 1st-gen Fire TV and Fire TV Stick). It looks pretty good, but it’s not quite on par with cable – yet. However, the playback is significantly smoother when switching between shows and channels than, say, Sling TV. Does PlayStation Vue have commercials or ads? Absolutely. The only exceptions are on shows you’ve saved to your cloud DVR (More on that in a bit). PlayStation Vue seeks to offer the same types of services cable TV networks offer, but in a cheaper, more convenient manner – unfortunately, that means ads and commercials are still a frequent occurrence. However, Vue subscribers who are accessing their TV via an actual PlayStation console will have a bit of a leg up over people who don’t – check out the section on pausing live TV below for more information on that specific functionality. Cloud DVR is pretty much what it says on the tin – DVR, except via the cloud rather than a physical device. PlayStation Vue’s cloud DVR functionality allows you to save your favorite shows to your own personal list (called “My Shows”). Once these shows have been saved, all new episodes will be recorded for you – for up to 28 days after they’ve aired, anyway. The benefit of the cloud DVR is that there are no storage limits – it’s all in the cloud! More importantly, you can access these saved episodes from anywhere, as mentioned a few times above. However, this functionality is not perfect. First of all, it isn’t available for every show or channel available on Vue – some of the providers behind them choose to disable this functionality entirely, for one reason or the other. And, of course, the 28-day limit may prove prohibitive to some people. Can you watch shows on-demand? Not exactly. Though PlayStation Vue’s interface and service, in general, does remind one of the services like Netflix, only certain shows can actually be watched on-demand here. As a general rule, each channel includes a small handful of shows that you can watch on-demand, everything else is pure live TV. You’ll want to add on extra services like HBO NOW to binge-watch Game of Thrones at your leisure. Can you pause live TV? This is one drawback of PlayStation Vue (Though many other streaming services have the same issue). If you’re accessing Vue via an actual PlayStation device, you’re able to pause live TV for up to 30 minutes before it will resume by itself. Unfortunately, all other devices will automatically resume playback within just a few minutes of being paused. That might be enough time to run to the restroom, take a quick phone call or load up on snacks, but it’s probably not going to be enough time for you to avoid watching commercials by pausing and skipping through them all afterward. At least, not if you’re using a regular, non-PlayStation device (Such as Roku Streaming Device). How good is the user interface? In short, it’s fantastic. It’s extremely simple to use, as it essentially amounts to a series of boxes and a scroll-able list of categories on the left side (Channels, live TV, favorite shows, etc.). 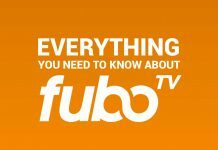 This makes it easy to find new shows to watch, or go back and watch your favorites. You scroll up, you scroll to the right or left – it’s that simple, really. If you want a more traditional “guide” interface, you simply hit the guide button at the top of the screen (To the right of the flashlight icon), and you’ll be greeted with a screen like this. Can you watch on multiple devices at once? Yes, you can watch on up to five devices at once – however, there are some significant restrictions on account sharing. Sony requires that you tie all of your TV devices (Roku, Fire Stick, etc.) to a single address – on top of that, you can only change that address a single time. If you ignore this requirement, Sony may block you from using Vue entirely – ouch. Naturally, this means you can’t share your account details with your friends or family, nor can you try to circumvent it by bringing your PlayStation console (If you choose to use one, that is) with you while traveling. This means that you must use Vue’s mobile apps (iOS or Android) if you want to watch while out and about. That’s about it! However, you’ll only really know what PlayStation Vue is like once you’ve tried. If you have tried PS Vue, let us know how it was in the comments below. If you would like to try it, you can sign-up for it here you can sign-up for it here.